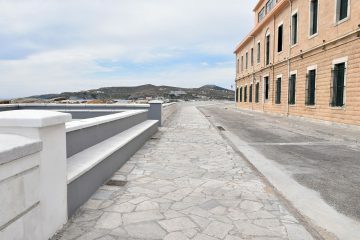 The Municipal Port Fund of Syros in collaboration with the Municipality of Syros-Hermoupolis implements projects funded by european programs NSRF, like the recently finished project of the renovation of Hermoupolis coastal zone, originating a budget of 1,200,000 €. A great and important project which changed significally Hermoupolis view. 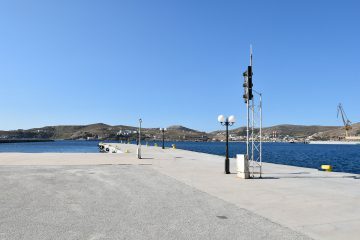 Με τις επεμβάσεις που ολοκληρώθηκαν ενισχύθηκε η θωράκιση του έργου. 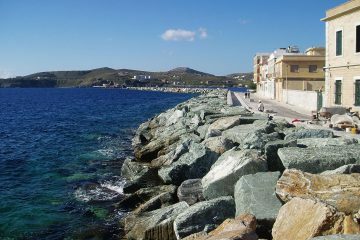 The quay for the cruise ships has length 73.50 m. and was implemented by extending the existing one. 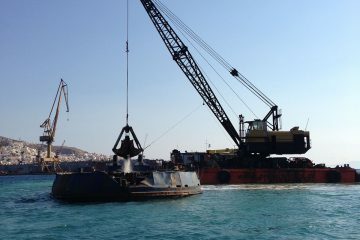 The dismissal of the reef was until 6,0 m. depth. 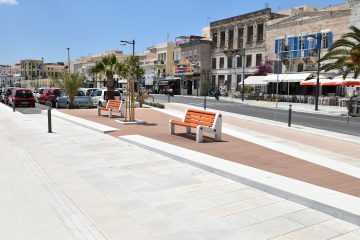 Renovation of katadromikou Elli street, with construction of new sidewalks, square living space, recreational space configuration and installation of new lighting fixtures.